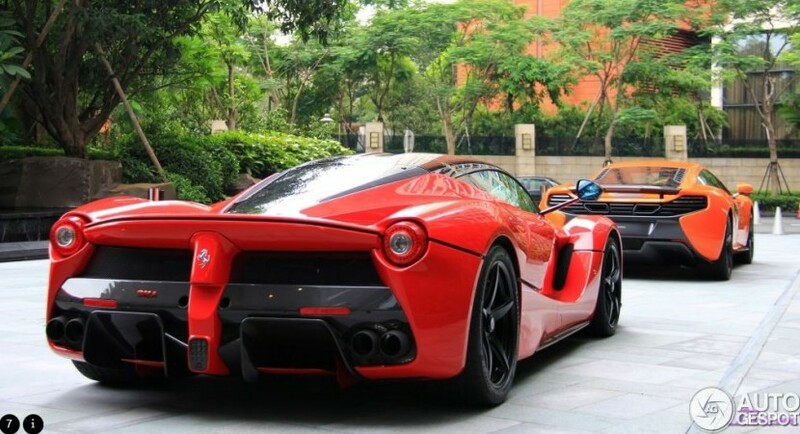 The first Ferrari LaFerrari supercar was seen in a world premiere in China, where it seemed to get along just fine, standing side by side with another powerful model, the McLaren MP4-12C. The red Ferrari LaFerrari is coming again in our attention, while the supercar was marching in China next to the orange McLaren MP4-12C. To be a reminder, the Ferrari LaFerrari was officially unveiled to the public at the 2013 Geneva Motor Show, the model being the company`s first hybrid supercar ever to be produced. More than that, the Ferrari LaFerrari is also the most powerful road-legal vehicle in the world, as the two-door coupe is taking its power from a 6.3-liter V12 engine, hooked to an electric motor, which output a total of 950 horsepower and 900 Nm of torque. The Ferrari LaFerrari is coming with a rear mid-engine and rear-wheel drive layout and only 499 units of the model will be ever built. Smart – A Motoring Fad Standing the Test of Time?